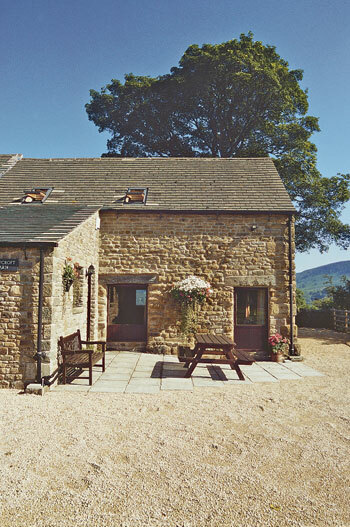 Ladycroft Barn is a two bedroom cottage, located in Thornhill, Hope Valley in Derbyshire. It enjoys panoramic views over the lovely Derwent Valley towards Ladybower Reservoir. The cottage is styllishly furnished in a modern style. 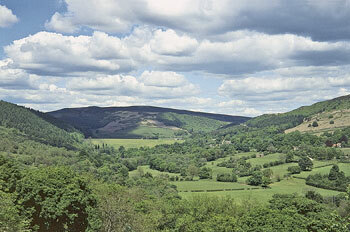 Castleton Caverns and Castle are just 4 miles away, Chatsworth, Haddon Hall, Bakewell and Buxton are all about 10 miles. There is walking from the door and cycle hire, fishing, golf within 1½ miles. Shop 1 mile. Pub/restaurant ¾ mile. Two bedrooms. Beautiful, spacious, beamed sitting room with feature stone fireplace and electric fire. Farmhouse style kitchen with dining room and door to 'panorama' terrace. First floor: Lovely double bedroom with king size bed and ensuite bathroom/W.C. (shower attachment). Pretty twin bedded room with ensuite shower room/W.C.